The constitution, structure and name change to the former Associated Student Government were decided after changes to the requirements of student governments were made by the Los Rios Community College District for all the schools in the district, according to faculty coordinator Kimberlee Beyrer. Photo By Evan E. Duran. The constitution, structure and name change to the former Associated Student Government were decided after changes to the requirements of student governments were made by the Los Rios Community College District for all the schools in the district, according to faculty coordinator Kimberlee Beyrer. City College bid farewell to the Associated Student Government Nov. 1 and welcomed the new Student Associated Council after the student government decided to change its name along with structural changes and the election of new board members. According to Kimberlee Beyrer, faculty coordinator for student leadership and development at City College, the constitution, structure and name change were decided on after changes to the requirements of student government were made by the Los Rios Community College District for all schools in the district. Debby Dixon, former ASG secretary and current region two chairperson, said that the first meeting under the new structure was held Nov. 2 and that the council discussed the goals of the semester and the year to come. According to Chris Torres, student affairs specialist for student leadership and development at City College, under the new SAC structure, student government will break into three separate committees each with its own president, vice president and other positions of leadership. The Student Senate is similar to the former ASG committee in that it deals with advocating and resolution writing for district, state and federal levels, Torres said. The second group is the Committee for Activities and Events Board, which is in charge of student life and deals with aspects like clubs, events, homecoming and other such activities. CAEB also works directly with clubs to help raise money, getting clubs to collaborate with one another on events that pertain to more than one club, and in some cases with the approval process for certain speakers or events, Torres said. The final group, the Joint Budget Committee, handles all of the budget issues and concerns for the Student Senate and CAEB, Torres said. According to Torres the best thing about the change is that it will make it easier for students and clubs to get their ideas and needs addressed by student government. According to Dixon, student involvement will be increased not only because the number of senator seats is increasing from 15 senators to 20 but also because the separate councils can focus more on their own goals. Husham Haroun, secretary of technology for SAC, said that the constitution has been in the works for a year and that City College was the first in the district to get a new constitution completed but that it isn’t without its flaws. According to Haroun, the constitution for SAC was voted on by students and then ratified and approved last spring, but it will need to be voted on again after edits are made to the many contradictions that were found in the new constitution. Shinesh Prasad, former inter-club president for ASG, said he would not be involved with the new structure but that he thinks it will make an impact on the student body as a whole. 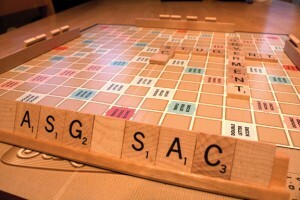 This entry was posted in News, Sac City Express (SCC) and tagged ASG, associated, branches, college, government, los rios, new, professors, reform, SAC, scrabble, three. Bookmark the permalink.